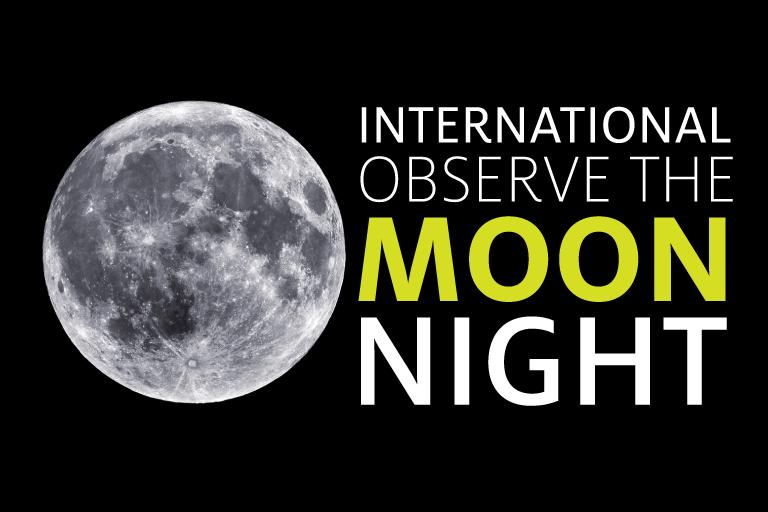 An annual world-wide event, “International Observe the Moon Night” is dedicated to encouraging people to ‘look up’ and appreciate our nearest celestial neighbor – the Moon. From gazing at the Moon with the naked eye, to observing through powerful telescopes, every year on the same day people all over the world hold events and activities to observe and appreciate our moon together. Flandrau Science Center & Planetarium will join the global celebration with free public telescopes on the mall and free admission to all exhibits and activities. Planetarium shows will be regular price. The brightest light in our night sky, the Moon has captivated humans for thousands of years. We sing songs about the moon, we mark time by its phases, we woo and howl beneath its glow. At this Moon Night event you’ll be able to marvel at the Moon through telescopes, celebrate the Moon with others, and learn about the University of Arizona’s leading role in the history of lunar exploration. Flandrau will host “International Observe the Moon Night” in collaboration with the UA Lunar and Planetary Lab, the UA Steward Observatory (Department of Astronomy), the Planetary Science Institute, the Mt. Lemmon SkyCenter, and the Tucson Amateur Astronomers Association (TAAA). Outside on the UA mall, volunteers will have telescopes set up for public Moon viewing. Inside Flandrau, volunteers will have Moon-related activities that will be fun for the whole family. Visitors will enjoy a special presentation by UA astronomy educator Matthew Wenger that traces the UA’s history of lunar exploration, from the very first spacecraft to reach the Moon, to the Apollo 11 mission that enabled the first human to walk on the Moon, to the science that’s happening right now based on data from the Lunar Reconnaissance Orbiter (LRO) that orbits the Moon and sends back detailed photos and data. In addition, we’ll have special planetarium shows including the documentary “Desert Moon” about the UA’s leading role in the 1960s “Space Race” to land a man on the Moon. We will also show the new documentary “Earthrise” about the famous photo of Earth taken by the Apollo 8 astronauts, the first humans to see the Earth rise above the horizon of the Moon. Both of these special shows are fascinating stories from the history of lunar discovery. We all need more moonlight in our lives, and “International Observe the Moon Night” at Flandrau is the perfect chance to gaze at our glorious neighbor, bask in its glow, and learn what we know and how we learned it. Join us along with other Moon fans, planetary scientists, astronomy students, and wannabe werewolves to celebrate by the light of the Moon. Telescope viewing is weather permitting.